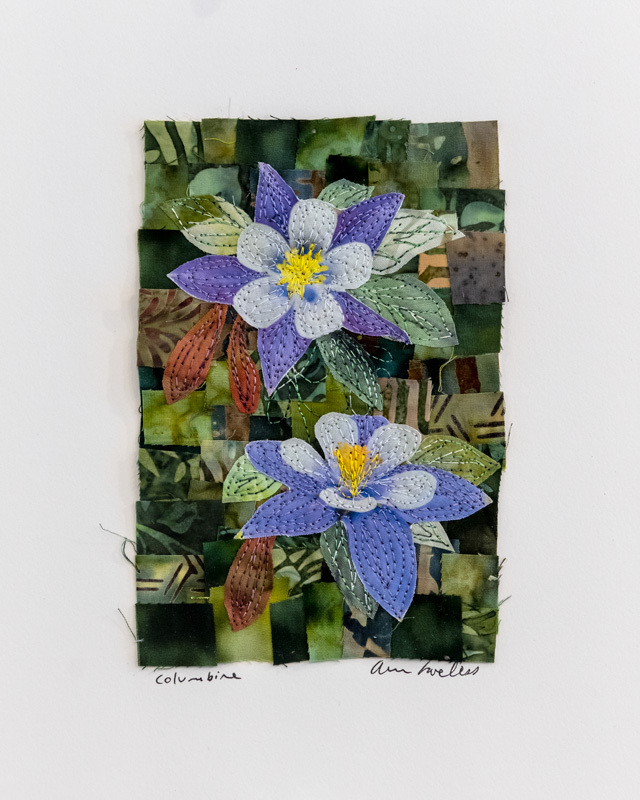 A close up of columbine flowers. 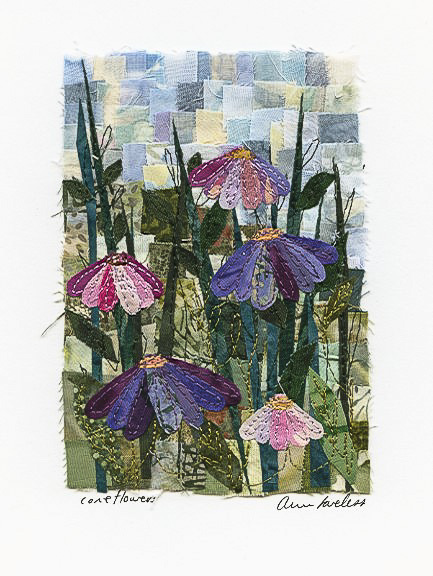 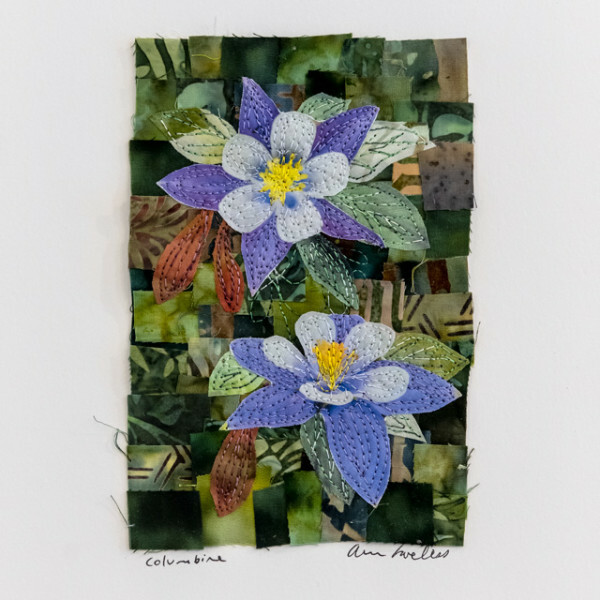 SKU: Columbine Small Fabric Mosaic Quilt. 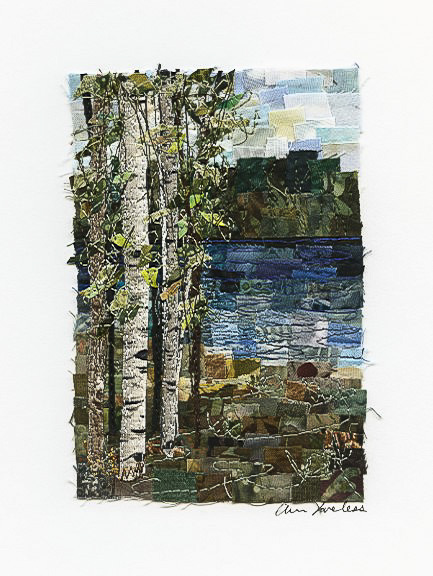 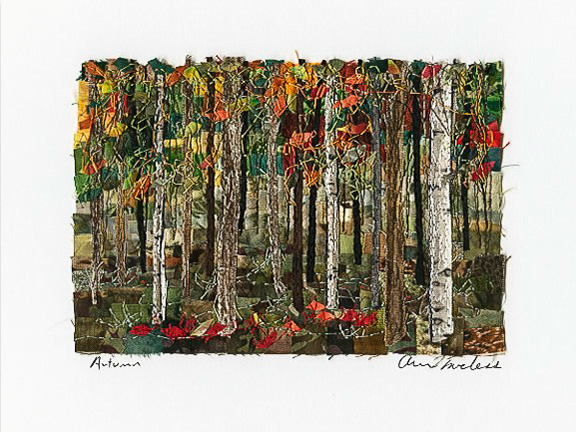 Category: Small Fabric Mosaic Quilts.